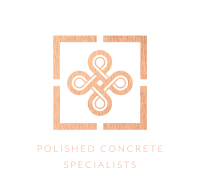 Holding true to our name as Polished Concrete Specialists, we position ourselves as experts in our field. Our team of highly trained flooring technicians provide an unparalleled service for our clients. We have extensive experience in dealing with residential, commercial and industrial flooring projects for both small and large projects alike across the UK. All customers benefit from a personal project manager who will oversee each phase of the work. Why not call us today for a no obligation quote, we would be more than happy to answer any questions you might have. In addition to our technical expertise as approved Pandomo installers, we have the full support of the Ardex Technical Teams on each and every project. Our highly skilled and trained team give complete peace of mind when we are working with you. Be it in a residential or commercial environment, a new flooring installation can be a disruptive process. We work with you to ensure that any disruption is kept to a minimum, working within time frames and hours that offer the least impact to your business or home life. We believe we are only ever as good as our last job and strive to ensure that each project is completed to the highest specification. We hold full public liability insurance and guarantee our work within specific project parameters. With a track history of successful bespoke projects behind us you can feel comfortable in a safe pair of hands. Our industry experience is second to none. We ensure we carry out extensive research into whichever sector we are working in. Our team of installers are all Pandomo trained by Ardex ensuring our flooring projects are completed to a consistently high standard and in accordance to Ardex guidelines and recommended procedures.